While I am very fortunate to be able to travel with my wife, not everyone who is a travel nurse is so lucky. 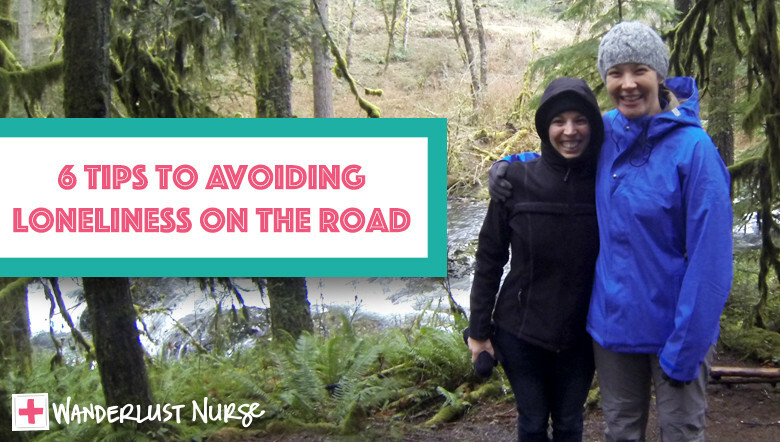 Some nurses may start traveling together, just make sure you both understand and agree to what’s ahead, maybe even sign a contract (not kidding-even the best of friends could have a change of heart once that $$$ starts rolling in). But many travel nurses start out alone, so how do all the solo travel nurses keep from being lonely on the road? Keep in contact with friends back home with video chats on apps like Skype or Facetime, but realize they are moving along in their lives, as you are having new adventures in yours. Friends or family may not seem supportive at first, but that’s because you are doing something out of the norm (“What do you mean you’re not getting married, buying a house, and settling down??!!”). Bring along a couple of framed photos of family and friends, some music, and anything else that reminds you of home. Make friends with your coworkers. Don’t wait for an invite, because you could wait 13 weeks. Kiki and I have a “Yes Rule”, if someone asks us to do something, WE ALWAYS SAY YES! (Schedules permitting of course!) Just because you don’t see yourself as friends with that person, don’t limit your chances. Making friends is harder as you get older, and it really is an investment. So when someone asks you, jump at the chance! On the other hand, if you’re the one asking and someone turns you down, it’s because they know you’re going to be leaving and don’t want to put in the effort. Don’t be swayed. Ask around for the best restaurants, sights to see, and so on. And ask if someone might want to go with you. Sure you’re putting yourself out there, but it’s better than sitting alone watching Netflix every night. Join a gym or take a yoga class. If you are into being active, this is where you will meet like-minded people. Again, you have to take the initiative to talk to people, but you never know until you ask. Get outdoors. If there are local hiking trails, beaches, or parks in the area, go! Just being outdoors can have a positive impact on your mood and well-being. Breathe in the fresh air, feel your feet on the ground below, and absorb all the new sights around you. You may run into someone else doing the same thing. Or invite one of your coworkers after you tell them what an amazing time you had! Try a new activity in the area. Look to sites like Groupon and Living Social for discounts on activities in the area. They usually offer something that could get you out of the house like a painting or photography class, skiing, sunset cruise, or even an exercise class. Who knows, you could paint that masterpiece you always wanted to while drinking a nice glass of wine! Pair up with other travelers. This seems like a no brainer, but if you’re alone, he/she is probably alone too. Even if you are working opposite shifts, you can make plans for a day off. This happened when I was in Tucson, where I met my good friend Megan (pictured above with Kiki & I). She was on her first (and only) travel assignment, and was homesick and lonely. 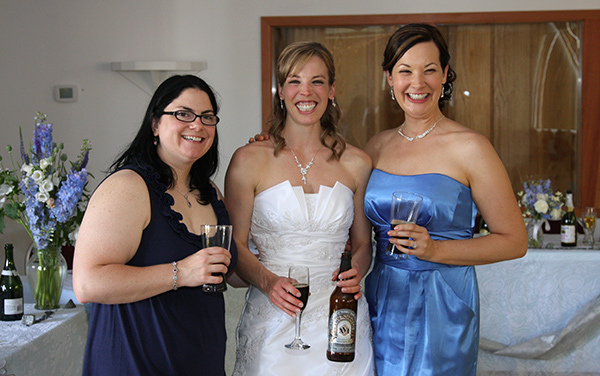 We hit it off, and have stood up in each other’s weddings! Now she is home in Oregon, but we visit on a yearly basis. You never know who you will end up staying in contact with, and could end up with friends all over the country! Just remember, many nurses get lonely as they start off on this adventure of travel nursing. These are just a few ways to get yourself out there and make the most of your time in a new place. How wonderful that you have an opportunity to transition your skills to those in need. Definitely on my bucket list of professional experiences. Thanks Tamara. What’s holding you back?